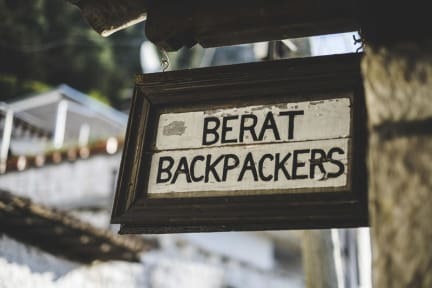 Welcome to Berat Backpackers, the first backpacker hostel to open in Berat and the second in the whole of Albania!. 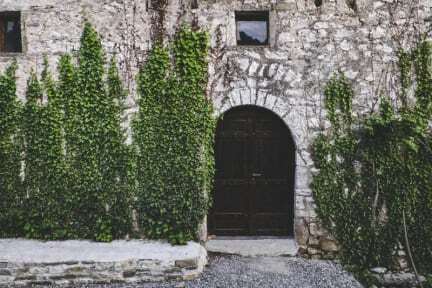 This 300 year old house is a UNESCO protected building with traditional features set in an amazing location, in the historic Gorica quarter of Berat. With 4 beautifully decorated double rooms, 3 dorms and a family room, we're sure to be able to cater to your needs. All of our guests can enjoy a free breakfast each morning, including traditional Albanian Pastry's. Come and relax and enjoy the unique atmosphere of this wonderfully preserved house and chill out under the fruit trees on on of our 5 garden terraces. Great hostel! Beatiful building in a beautiful city. Great garden to hang out. Stayed in a private room with balcony with a great view! One of the, if not the most beautiful hostel we have been to. It's in one of the old houses right in the centre. Beautiful terasse. We would have loved to stay longer! Its an amazing hostel. The best breakfast i have ever in my whole hostel travellife :) Perfect location and super friendly staff. The hostel has a really great garden to chill out. Strongly recommended! Wonderful. The rooms, the garden , the Travelers and the staff. Super chilled , super central. Breakfast big and so delicius! Recommend highly. The only Thing was Bad wifi. Could sadly Not Work online from this Place. Otherwise i would have Stay forever.